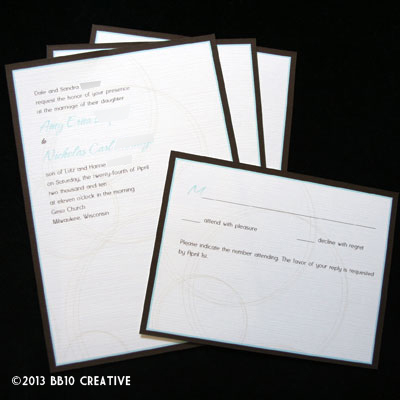 The fourth wedding of the fall season takes place in October between another great couple, Kari and Ed. 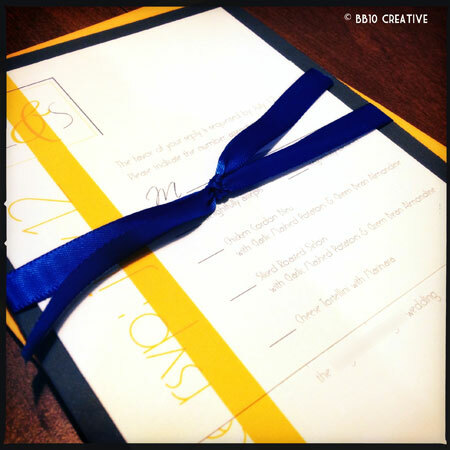 Kari and Ed came to BB10 Creative looking for a unique invitation for their wedding, using royal blue as the main color. 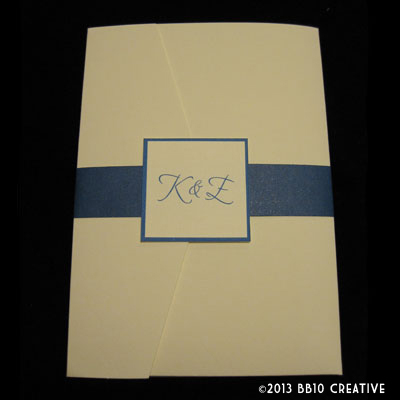 This turned out to be more of a challenge that I thought, because there is not a lot of availability for royal blue enclosures. 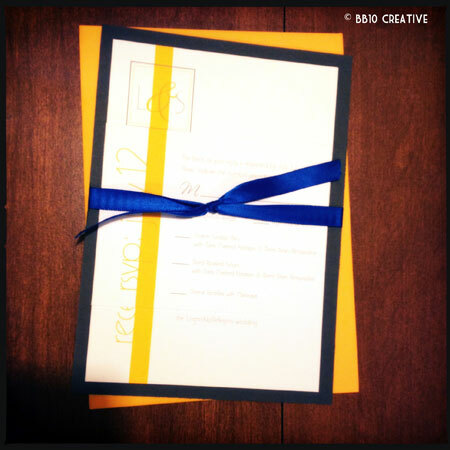 However we were able to work around it and instead ended up using a soft off-white enclosure with heavy bands of royal blue in the design. 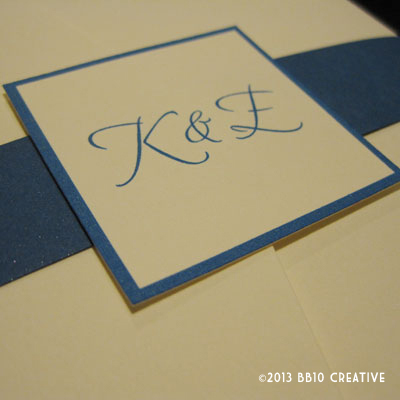 The design that Kari and Ed chose is a very simple and classic design, with an elegant border design and monogram. 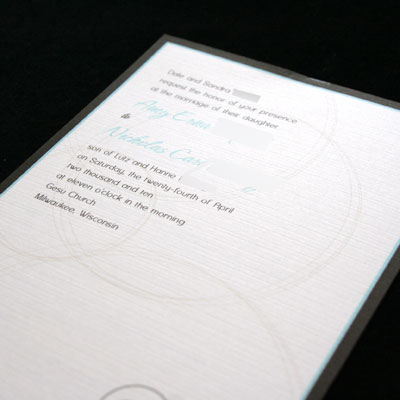 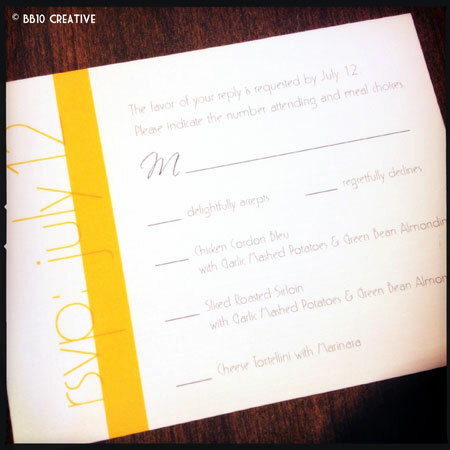 We used a more traditional serif font paired with a flowing script to highlight the couples’ names. 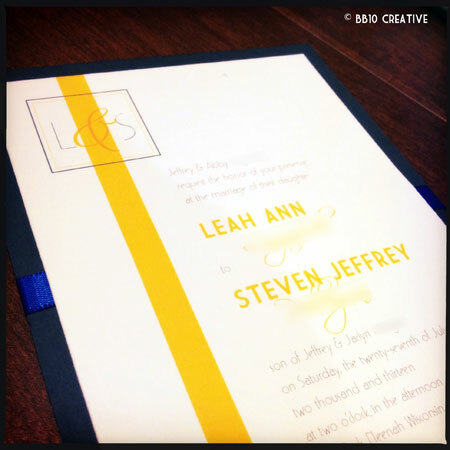 This enclosure is sealed using a royal blue paper “sash” around the middle with a monogram seal. 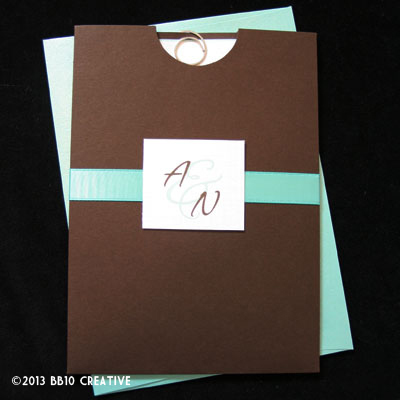 Both the paper and the envelopes used are made from a classic off-white linen paper, which adds a nice texture to the final package. 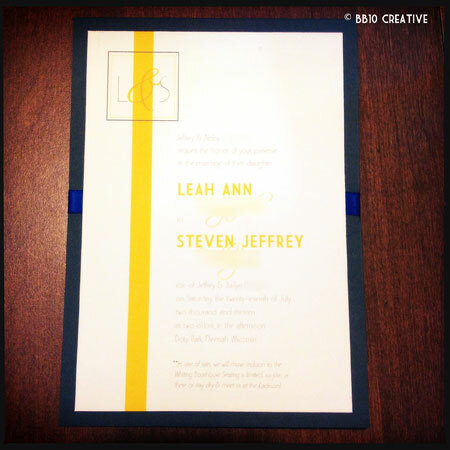 This invitation set is a good example of how we are still able to incorporate unique colors into an invitation design when there may not be enclosures or paper to match. 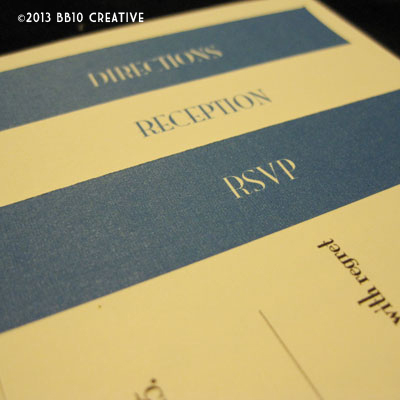 I love the simplicity and elegance of this invitation, the royal blue and off white together look very formal and classic! 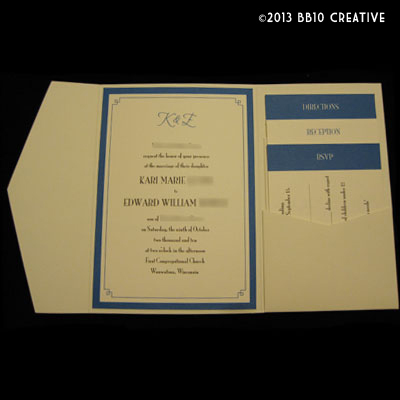 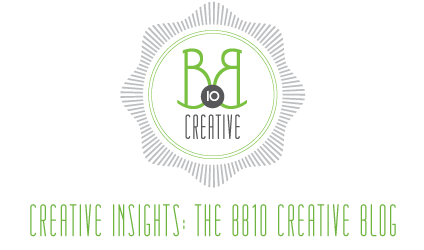 Program designs are still in the works for this wedding, so check back on BB10 Creative to see how the final package all comes together.